We couldn't believe it ourselves. When Kendall Jenner wears something attainable, we're usually all over it. So when she donned a polka dot mini dress paired with white sneakers, we started hunting for dupes! But thanks to our daily window shopping habits (it comes with the job, LOL! ), we found a close dupe of Kenny's dress. The best part? It costs less than P1,000. And while you're at it, here's a budget-friendly alternative to her Adidas x Yeezy Powerphase Sneakers. 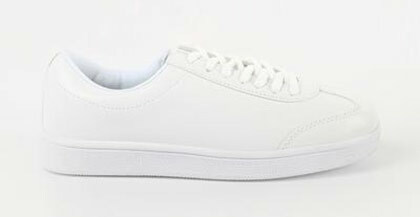 The original costs $473 (P25,609), and we found a similar pair that's only P899. Complete her look with skinny cat-eye shades. Sunnies Studio Lennox in Charcoal, P499, SM Megamall. 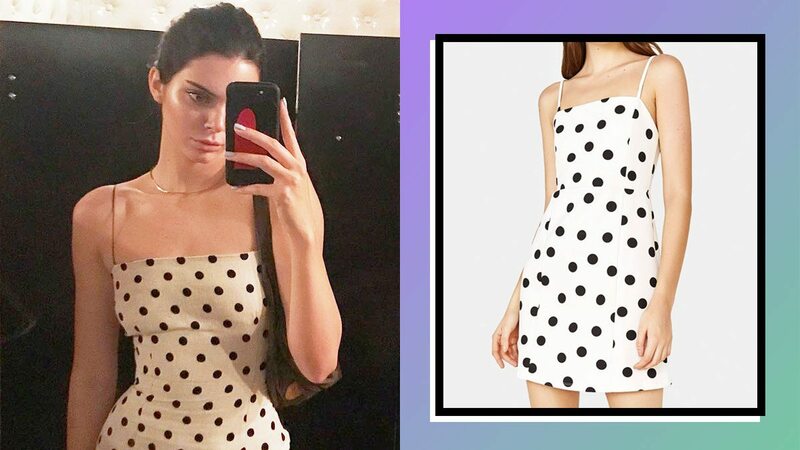 A head-to-toe Kendall Jenner-inspired OOTD for less than P2,500—genius, right? BRB, going to the mall.